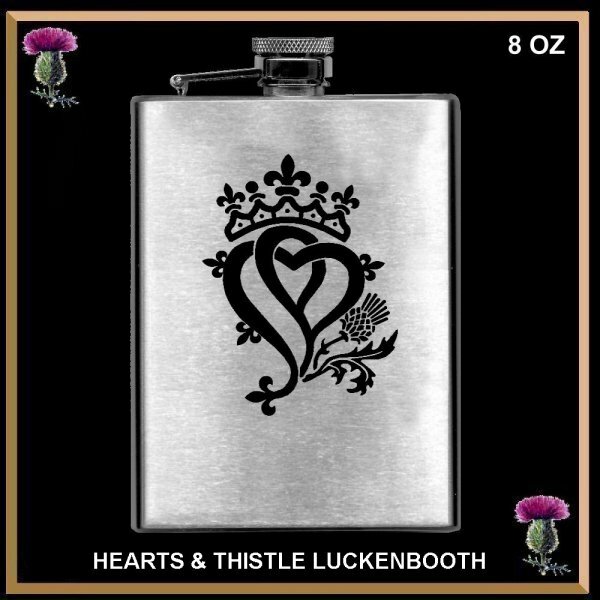 We are pleased to offer a variety of stainless steel flasks, 4oz, 6oz and 8oz. with different Luckenbooth designs. 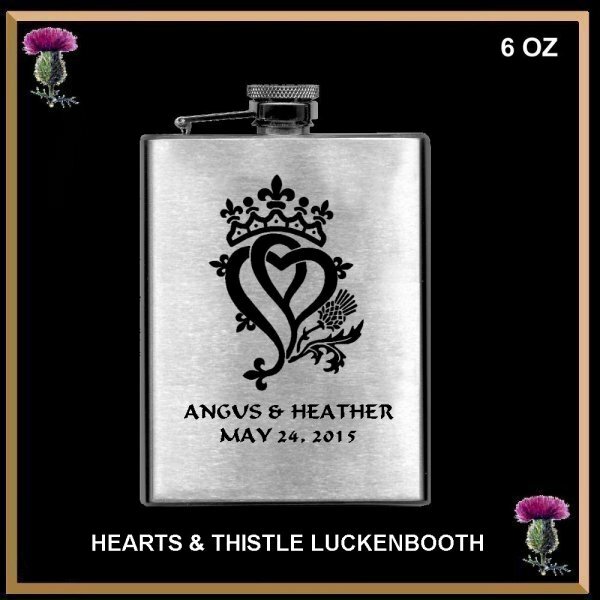 We now offer engraved Luckenbooth flasks as wedding flasks with first names and the date of the marriage. Flasks are the perfect gift for those who enjoy a wee dram of medicinal Scotch Whiskey.